The Vandalia Division of Police has arrested Jennifer Lynn Carver of Troy who is suspected of robbing the Speedway store on E. National Road on Sept. 12. 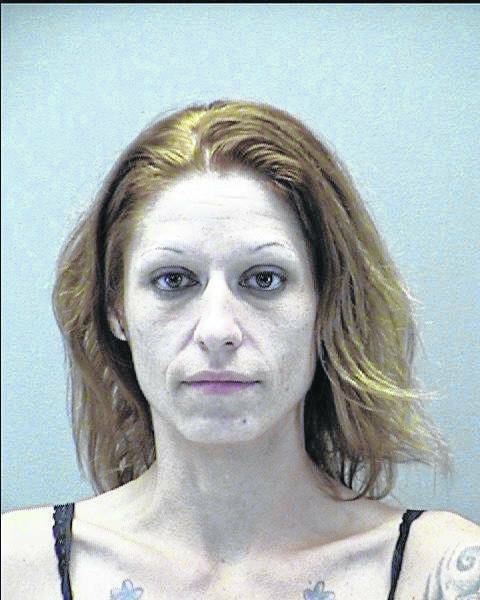 VANDALIA — Vandalia Police have arrested a woman suspected of robbing the Speedway store on E. National Road in September. Jennifer Lynn Carver, 32, of Troy, is currently in the Montgomery County Jail with a robbery charge pending. Her bond is set at $50,000. Police from Vandalia, Huber Heights, and Butler Township responded to the scene, set up a perimeter, and used a K-9 to attempt to track the suspect who had fled. Officers were unable to locate the suspect and security camera images were released to the public seeking her identity. Police received tips from the public and pursued possible leads with the Riverside Police and other possible suspects who had been arrested by the Dayton Airport Police shortly after the robbery. Police finally received the break they needed on Sept. 18 after multiple tips came in that identified Carver as the suspect. Troy Police arrested Carver on unrelated charges a day later and Vandalia police interviewed her. After conducting a photo lineup with the Speedway employee as well as matching Carver’s jacket to the jacket in the surveillance video while receiving other tips from the public, police took the case to prosecutors who approved a second degree felony charge of robbery. Troy police made the arrest of Carver at her home and transferred custody to Vandalia Police. If convicted, Carver faces up to eight years in prison and up to a $15,000 fine.